Our previous post was all about the glorious polystyrene and digital fabrications of Weta Workshop and the mind of Sir Peter Jackson. 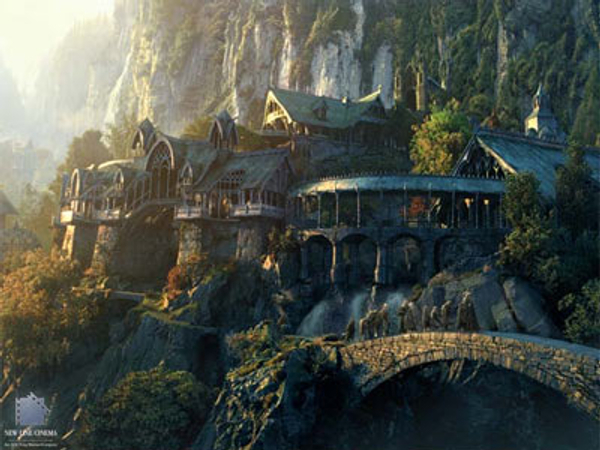 Yes, we do love a good hobbit adventure, and yes, I’m thinking that in some ways the architecture in the three LOTR films far surpasses nearly everything our city has built IRL. But, there comes a time when one has to wake up In Real Life, and then the plain truth is that the real life architecture of WW and SPJ as seen here in the actual real Hobbiton-on-Sea is, well… not that great at all. Here’s the concrete box of a Wingnut films sound set. I’m…. unimpressed. Am I allowed to even think bad things about their (lack of) architectural merit, or does that automatically make me an evil fish? (thank you David P…). Of course the plain simple truth is that the massive concrete sound stages and sound-deadening concrete boxes of Stone Street Studios are as dull as ditchwater, unless you prefer their plain, simple modern lines in preference to the wonderful structural expression of the new Indoor Sports Centre – not that everybody does, of course. Our frequent correspondent m-d thinks that the ISC stands out like a massively sore thumb: “I have to say that I am absolutely appalled by this creation.” But many others may think that this deathly dull concrete box deserves more of a raspberry than the ISC. So does Form follows Function mean Modern Movie Master? I suspect not – it only gets away with it because it is somehow tucked away down a swathe of side streets in the home of the Miramar / Gondorian rangers. The Park Road Post headquarters is more interesting – a very Wrightianesque design, if I may be so bold. I’ve never swum inside the portals of course – you have to be movie gold to get in here. Its all a far cry from the early days of the tumbledown Camperdown Studios and the old insect-infested sheds of Weta – which, I hope for the friends of mine that work inside, are being renovated ready for the next 2 year stint of rendering and shading. Because, that is really what the architecture is all about – the maquettes, the animalalians, the Grodborts of the world, waiting for Tintin to finish and the Hobbit to start. So what about this? Is a wall of containers even more justifiable then, screening off magic in progress from our prying eyes? 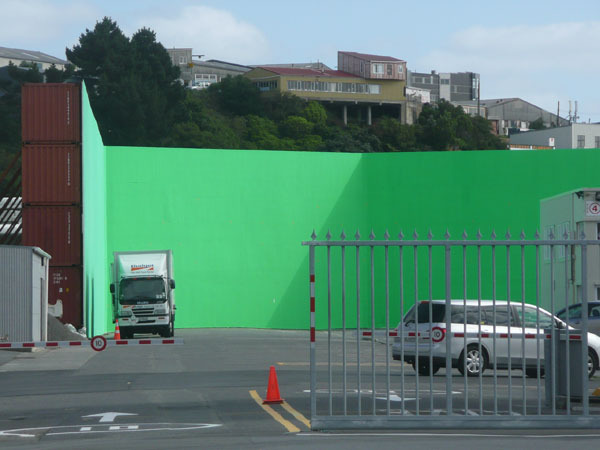 When the filming is actually on, they arise on various Wellington promontories, film sections from Skull Island and Helm’s Deep, and then are dissembled again. That’s a 1-2 year building typically, so if it is crap as an outlook, at least it will be gone before too long. That’s a lot more than we can hope for on some of the ‘architecture’ being assembled in Wellington. indeed – that house is spectacularly bad really, isn’t it… but it is the place to be when they start filming! No slating intended. I may agree with your comments from time to time, but they’re always thoughtful, and a learned reposte to my own youthful utterings…. “Weta Digital boss Joe Letteri says for the first time, more than half of the special effects firm’s crew are New Zealanders. 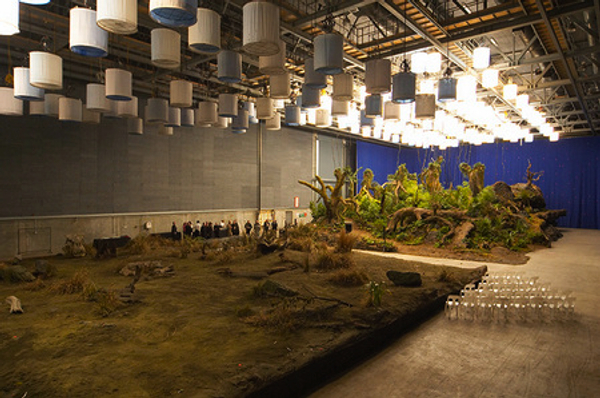 Work at Weta Digital peaked last year when more than 850 people from 46 countries worked on 3-D blockbuster Avatar. Staff numbers currently sit at about 750. 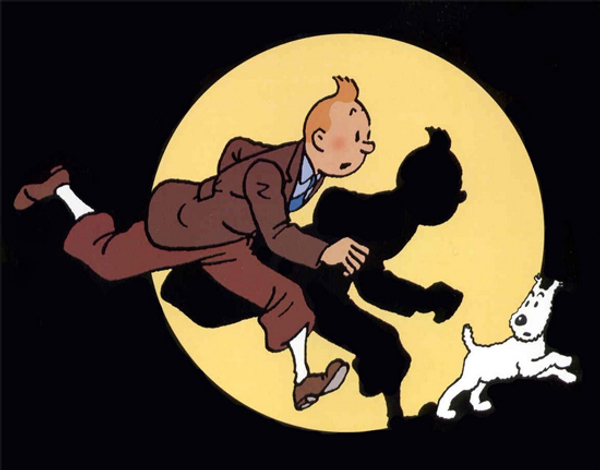 Current projects include TinTin, “a completely digital live film action in 3-D”. Park Road Post is quite an amazing place. I was lucky to be given a tour just before it opened and have visited several times since – the only building project in NZ history where no expense was spared. The screening room is palatial (imagine a small scale Civic with much more comfort). PRP was built to house three different feature film productions running simultaneously (including office space) without the producers of each film ever meeting – which would have been awkward. It’s all leather and giant fireplaces plus some Wright knock-off detailing. Built to meet a certain Hollywood expectation rather than to make a statement of it’s own but the finish is something else. I’d work there. Steady on the criticism of the soundstage there young Max (what big teeth you have) – It’s an industrial building similar to plenty of warehouses around Seaview and zoned similarly, I’ll wager. Whilst it is ugly and bland and various artistic types may wish to give it some aesthetics it sends the message that we are here to do business and not waste money on frivolities. That would be an important message to send to skittish LA types, don’t you think? If you want creativity with your tilt-up panels I recommend the road tunnel under the South end of the Airport – nice detailing. I second the opinion of PRP from what little I’ve seen of it – reassuring to Statesiders the way parts of older Whitby used to be – it projects solidity if that makes sense. Chalk up two more girls for the vermin class of lawyers..
but lawyers can also be sooooo creative… with the truth…. What sort of person would cut a man out of a fish photo and then substitute a different background? That’s just odd, altho it made me smile. According to http://www.top500.org/country/systems/146 , NZ has 7 of the top 500 supercomputers in the world. Which is 6 more than Australia does. One is at NIWA at Greta Point, while Weta has the others. Does anyone know we’re they’re located, because I’ve never seen anything in Miramar that jumps out at me and says “cool data center”. I think they had (or maybe still have?) one cluster in the Gen-i data center on Cambridge Tce (inside the Courtenay Place exchange) that was (is?) part of the nz supercomputing centre (if that’s still going). But I’m pretty sure a couple of years back they built a brand new high density data centre in Miramar with water cooling and stuff. On Wexford Rd possibly. Data Centres usually present a boring front looking like any old warehouse, notionally for security reasons, but I think that’s stupid given anyone who *really* wants to can find any data centre. In this day and age where data and technology are everything, they should announce themselves with great (possibly cyberpunk inspired) architecture. Data Centres should be flagship buildings for any technology oriented organisation. >Data Centres should be flagship buildings for any technology oriented organisation. I’ve seen plenty over the years. I was a systems programmer at ESA’s ESRIN lab in Frascati for a while and theirs was in the basement one level down from my office. One of the Vax guys (as I said, this WAS a while ago) popped his head in one day and said that a maintenance bloke wanted to stand on top of some hardware to do some work in the ceiling. Vax guy didn’t recognise the hardware, thought it might have been part of my IBM mainframe, and wanted me to go and check it out. It turned out to be an airconditioner, which tells you something about the intelligence of our Vax team. I was always confused about data centers (or glorified server rooms) that supposedly have high security, but have glass windows where anyone with the skills of an average vandal or burglar can take your primary center out with a few minutes work. The Aussie state government I worked for had a basement data center with about a meter thick slab of concrete protecting it. It was sad and dated, with a 1970s feel about the building. Sort of like the Beehive and the CD “bunker”, if anyone else went for the open day on Sunday. The “bunker” had 1970s domestic door nobs on its doors, and the organisation seemed confused… as if someone had laid it out after watching some old B&W films about WW2 without thinking through the design implications properly. Speaking of which, and perhaps you are the people to ask – where exactly is / was the infamous Wanganui Computer CENTRE THAT NEIL ROBERTS BLEW HIMSELF UP ON THE DOORSTEP OF? WASN’T THAT ACTUALLY IN WELLINGTON? OR AM I COMPLETELY BEFUDDLED? Oh bugger, and now it was all in caps too…. it’ll make me look completely mad – although not quite as befuddled as Mr Roberts…. Aaah , because i like photos of Fish – IN water, rather than out? 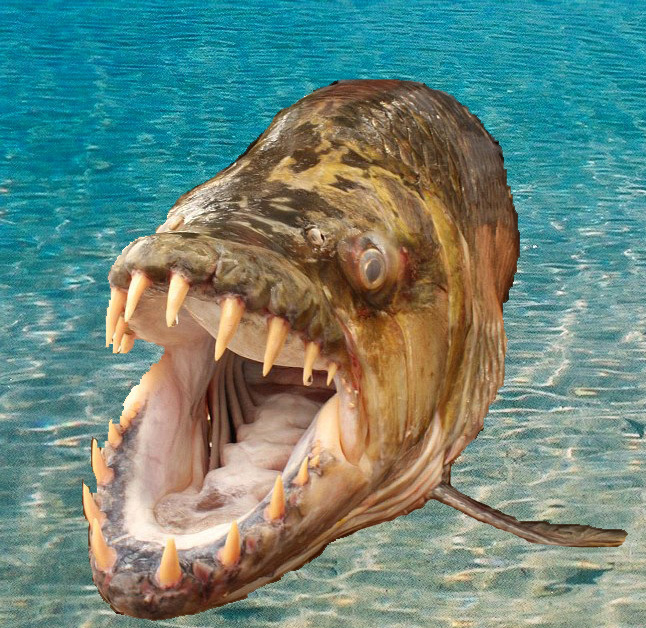 Have you any idea how much fish hate being out of water? Except for those bloody dolphins – larking about – and they’re not even proper fish…. Besides, that man in the photo had nasty scary eyes…. Wanganui Computer Centre was before my time. But I did a short contract for Courts in 2001 working on a partial replacement for LES (? Law Enforcement System). I believe LES was the main application that ran at Wanganui. At some stage the center closed and LES moved to an EDS center in Auckland. Courts’ fees for LES were apparently rather large so they were going to leave it to Police while replacing the Court-related modules. I heard the Courts project failed in spectacular fashion not long after my contract ended… But it was only a 3 month gig and I was in Australia by the time it ended in a burst of bad publicity. 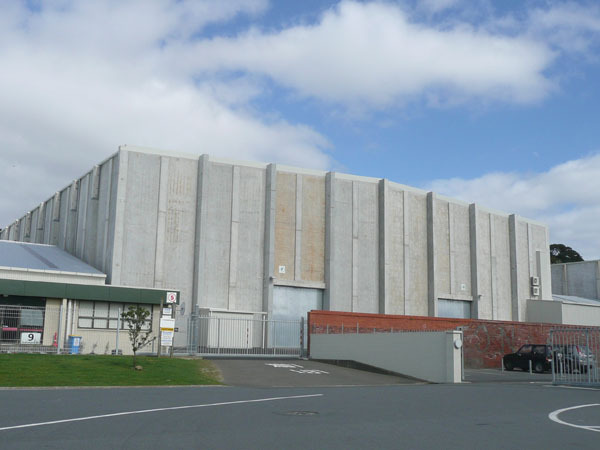 Government had several data centers in Welly in the 1980s. Each seemed to run equipment from a different manufacturer, for some reason. I visited Vogel, which was the MOW center in the Vogel Building once. Cumberland was an IBM shop… I don’t remember the exact location, but it was up the Victoria-Manners end of town and I spent the day hanging out in the service engineer’s “workshop”. Trentham is now used by Defence as their operations headquarters. And there was a Pipitea center somewhere… Thorndon?